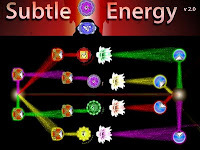 Subtle Energy 2 is the new sequel to the amazing physics based color puzzle game from glagolev. It is the second part from its series and this time it has new challenging levels, smoother graphics and more relaxing music background. For those who are not familiar, in this game you need to mix colors and find the right path for energy flows using various elements like walls, teleports and diffusers. While the gameplay of this one is pretty good the levels are now more complex and challenging compared to the original game. There are 25 levels in it including the tutorials that you better not skip if this is your first time playing it. Meanwhile, here is Subtle Energy 2 walkthrough for those who need it.